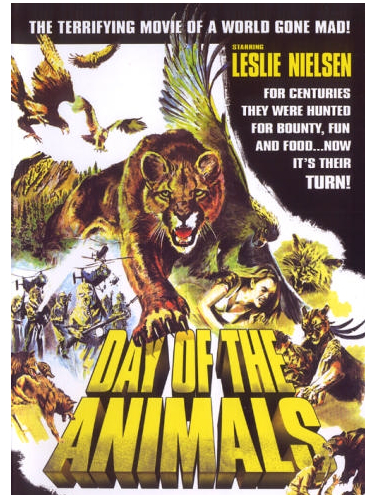 Another 1970s animal attack feature, Day of the Animals is full of corniness and surprises. “If there’s a god left to believe in…you’ve made a jackass out of me for years!”, exclaims an enraged Leslie Nielsen in one of the film’s most outrageous moments. The Naked Gun star plays an ad man who, along with a bunch of other tourists, is trekking through the California woods with some tour guides. Unfortunately for them, but fortunately for us, there’s a problem with the ozone layer and animals are being affected. There are lots of foreboding shots of predatory animals. We love nature run amok and this one is pretty good. 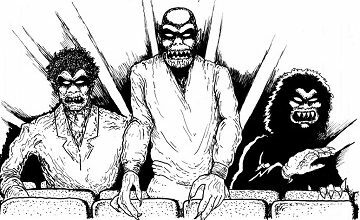 There’s a few inventive kills, a couple of true surprises, and good (well, maybe not so good, they are inexplicably attacking, after all) -natured silliness all around.